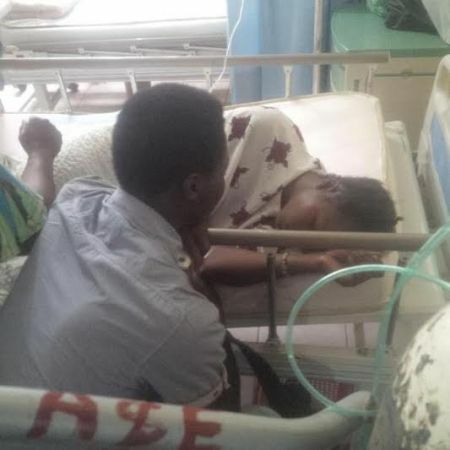 This 18 year old girl (pictured above in hospital) drank half a bottle of sniper (a popular insecticide) after her boyfriend, pictured above with her, ended their relationship. According to Aisha Yesufu who shared the story on twitter, she said the young girl is currently on admission and that doctors say her heart has now been affected by the poisonous substance. 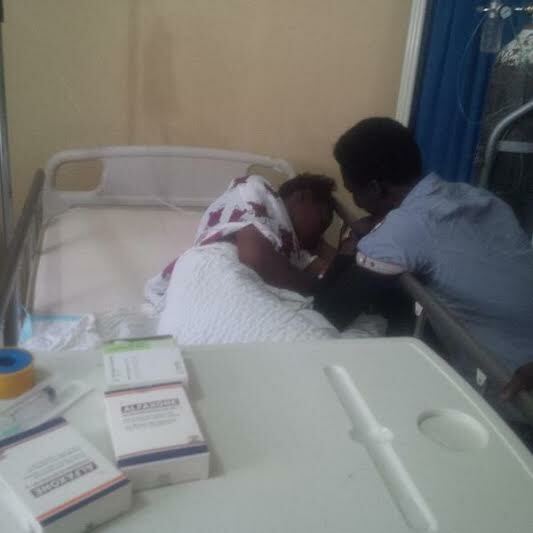 The supposed boyfriend who jilted her had to be called in and is seen in the photos consoling her.